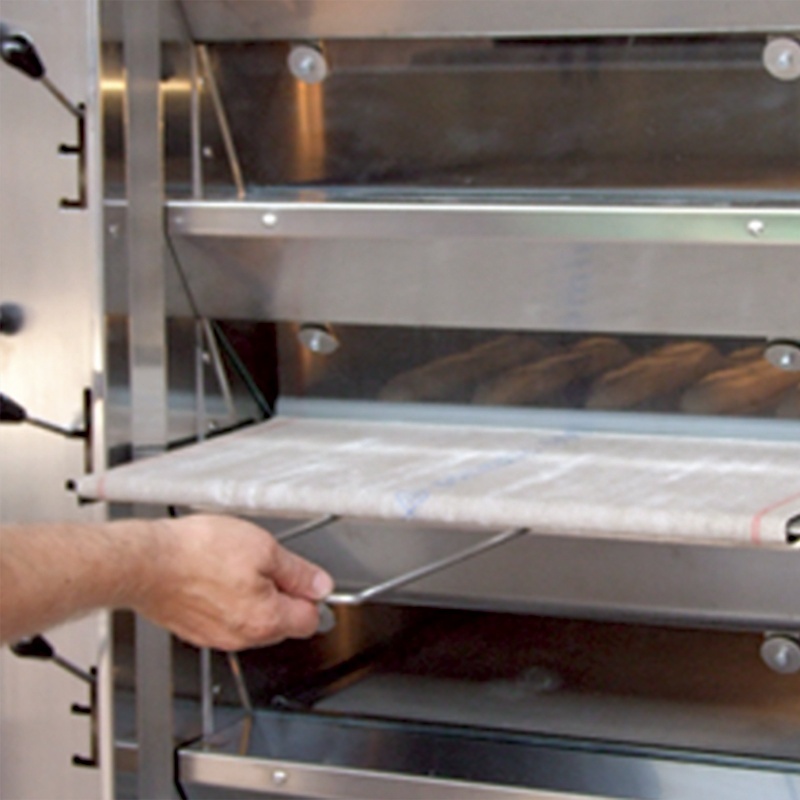 This new means for loading your baguettes and bread into the oven, allows a reduction in the number of successive manipulations of the dough pieces, thus saving time. Thanks to the opticouche and its new deck-type baker's oven, COMPAGNON, oven loading no longer requires any particular qualification. 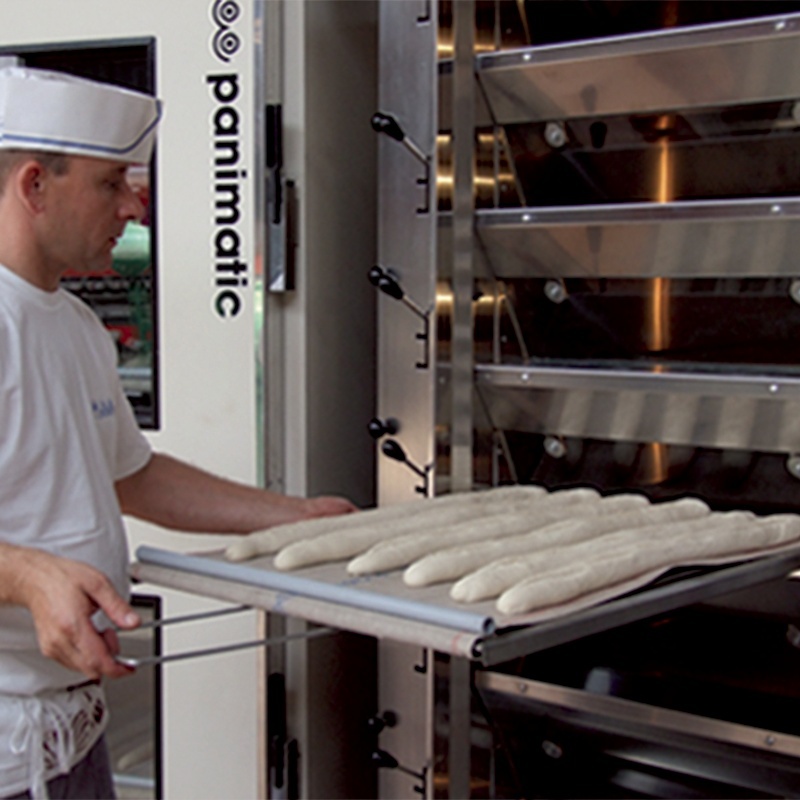 After moulding, the dough pieces are placed directly on the opticouche and laid in the fermentation area. 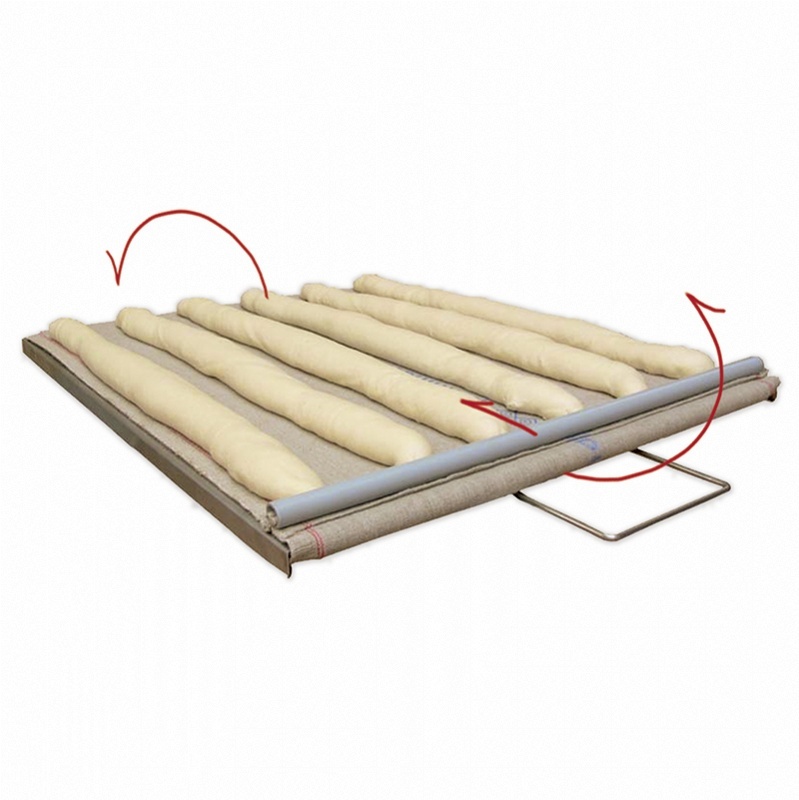 With the opticouche, you transfer your dough pieces directly from your trolley or fermentation cabinet on to the deck of the COMPAGNON oven, without the intermediary of an oven loader and without any handling of the loaves. The oven loader is now redundant, the space in front of the oven is once again accessible. A single and unique opticouche for both fermentation and oven loading. The dough pieces no longer pass via the oven loader - one less handling stage. Quick transfer of the dough pieces into the cooking cell. Ease and simplicity of oven loading.